Set up a new school? Improve a current school? You need teacher training? It’s been said, “If you build it, they will come.” For many, that axiom might hold true however, for Shanna Parry and Greg Parry, it was the reverse. “They” came first. “They,” being the builders, leaders, and administrators of international schools. They came, seeking the accrued knowledge, experience, and above all, integrity of this preeminent pair. The demand was there, Global Services in Education – the response. “We are proven best-practice education leaders. As former teachers and principals, we now lead schools across the world,” says Shanna. After being approached repeatedly from virtually every corner of the world, both individually and as a dynamic team, the founders of GSE decided to create their international company. Peerless in their capacity to start-up new schools, provide management and support, GSE became a veritable overnight success. “Our services are setting up and managing new international schools and improving quality of existing schools,” adds Greg. They provide teacher and principal trainings across the world and their teacher training programs, specifically, create sustainable development of schools. 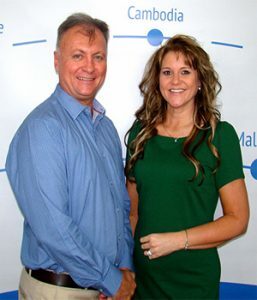 Building on the bedrock of their own, “down in the trenches” experience, both as principals and directors, Shanna and Greg have mastered the intricacies of the education process. More importantly, they possess an innate gift for imparting that knowledge. Coming from a mindset that the ultimate goal is the successful development of young minds, they pave the path to this goal in one simple directive: develop great teachers, who in turn develop excellent schools. “Whether the mission is creating a new school or recalibrating an existing one, the focus remains constant: to foster each individual student to grow and develop as a self-assured, knowledgeable and responsible global citizen who will positively shape the future,” explains Shanna. 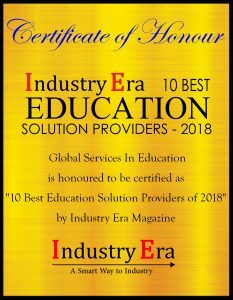 “We were once teachers who became successful principals and are well regarded for research-based best-practice initiatives.” GSE has developed a reputation for being the liaison between “education as a business” and the “true spirit of education that achieves best practices for children and families”. “One should always remember, parents trust educators. They are sometimes skeptical about the intentions of business people,” adds Greg. “We have a proven system of school improvement and management. We do this by leading, mentoring, coaching and developing instructional leaders within schools.” The company’s superior services do not stop with school management/set up and teacher/principal training and development. They also lead branding/marketing initiatives, academic input into school design, curriculum design, accreditation, and teacher recruitment. Apart from being a bridge between educators and business people, GSE also has exceptional skills within different cultural contexts. Both of these sets of skills are essential during an educational institute set up and manage international schools in different countries. “How we manage international schools in China is different from how we manage schools in the Middle East or Malaysia,” he adds. “One has to understand, that we have all attended schools but that does not make us qualified to set up and operate one. School management requires specialist skills. When you add the layers of different cultures and contexts, International Schools become very unique and challenging projects that need specialist skills. GSE continues to serve this purpose,” elucidates Shanna. The company offers many education solutions that make them particularly unique and successful. Some of their most note-worthy and award winning programs include GSE’s Teacher Development Program: A culture of school improvement created where teachers get access to high-quality training, and principals continue to lead them as the instructional leaders of the school. GSE’s Teacher Development Program creates this school culture allowing teachers and principals to grow with meaning and purpose.